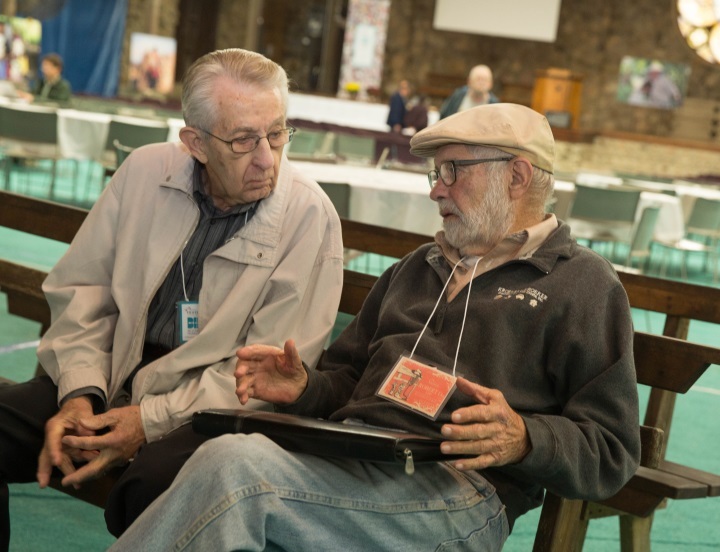 Robert Epp (right) shares a story with fellow cowboy Walter Hochstedler (left). Their ships were in Poland at the same time in December 1945. Walter Hochstedler and Robert Epp share stories of the their experiences in Poland as seagoing cowboys.